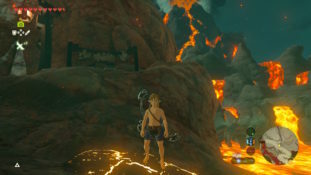 They’ve set up roadblocks to stop you rescuing Yunobo early, entering the Yiga Clan Hideout early or boarding a Divine Beast without fighting it. And pretty much every sidequest and shrine quest in the game is designed with the possibility you’ve beaten it before even knowing it exists. 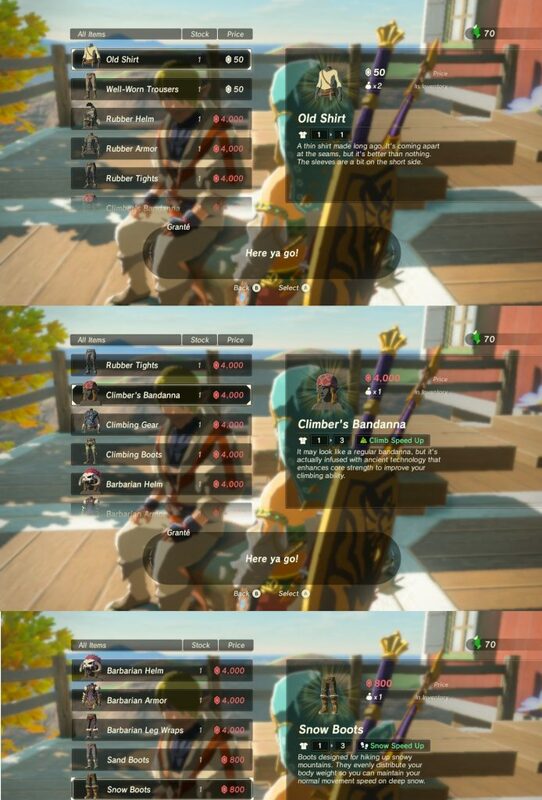 Heck, even reactions from Impa, Purah and the town elders differ based on stuff like if you’ve freed the Divine Beasts or gotten the Master Sword! The level of detail here is absolutely insane. But unfortunately, it turns out there’s one situation they forgot to prepare for. Namely, you having a full inventory at the time an NPC gives you a piece of armour. Admittedly, this is a very rare situation. It won’t happen with the Warm Doublet for sheer resource limitation related reasons, and the only other armour in the game given to you like this is the Zora Armour and the Thunder Helm. So unless you’ve collected five pages worth of junk, it’s unlikely this bug will affect you. 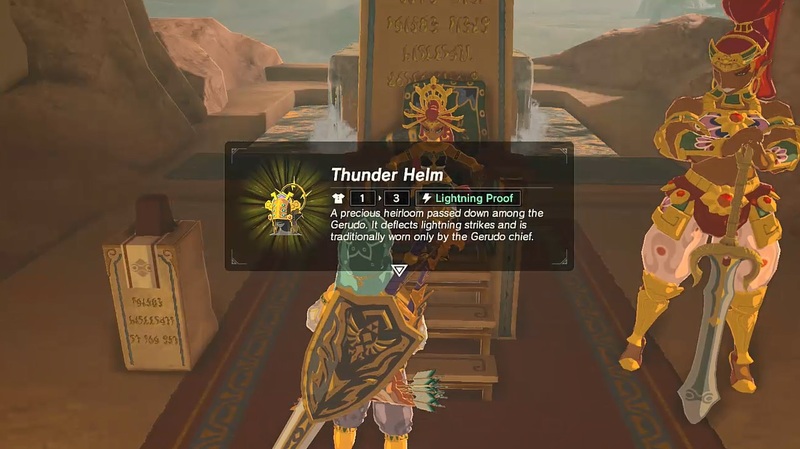 As you can see, Riju appears to give you the Thunder Helm just fine. The box appears with the text and icon, and she says you’re a friend of the Gerudo like normal. If you actually then go to your inventory however, it turns out the Thunder Helm just isn’t there. It’s gone. The helm has literally vanished forever. No, asking Riju won’t get it back. She just acts like you already have it. And don’t bother with Grante in Tarrey Town either. He never stocks this item, since you can’t normally sell it. So the end result is that a useful piece of armour is just gone forever. But wait, it may get worse than that. Why? Well, the Thunder Helm as a piece of equipment is not super important to the main story. It’s used as a key item sure. But as equipment? You only get given it after freeing Vah Nabooris/defeating Thunderblight Ganon and clearing all the sidequests in the town. As a result, while losing it is bad, it doesn’t break much of the game. However, as I mentioned earlier, that’s not the only quest which has an NPC just hand you a piece of armour. No, Prince Sidon hands you the Zora Amour in a similar fashion back in Zora’s Domain. 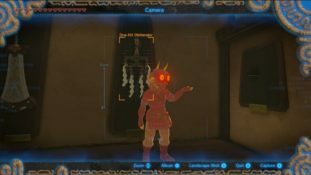 It’s needed to convince the elder that Mipha knew you, and to take down Vah Ruta/complete the first dungeon/free Mipha’s spirit. 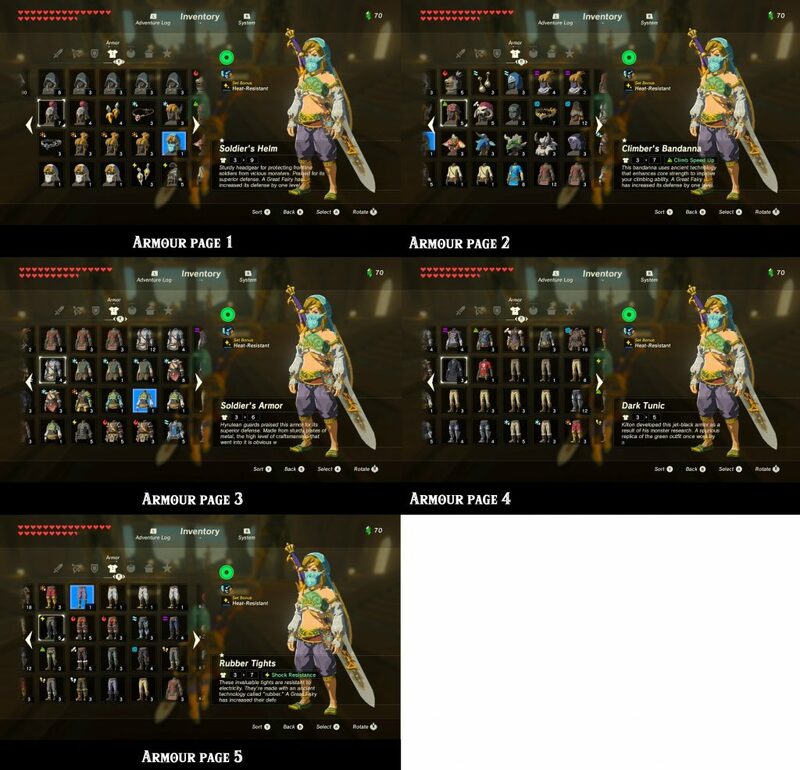 This means that if the same glitch exists there too (which given the unlikeliness of running out of inventory space and the general mechanical similarities is likely), a really bored/dedicated player could find themselves locked out of the true ending, as well as unable to use Mipha’s Grace or get all Heart Containers. Either way, it’s an oversight that I kind of expected Nintendo to have thought about, and one that genuinely needs to be patched in the foreseeable future. Otherwise, Zelda Breath of the Wild can basically be made unwinnable by insanity.